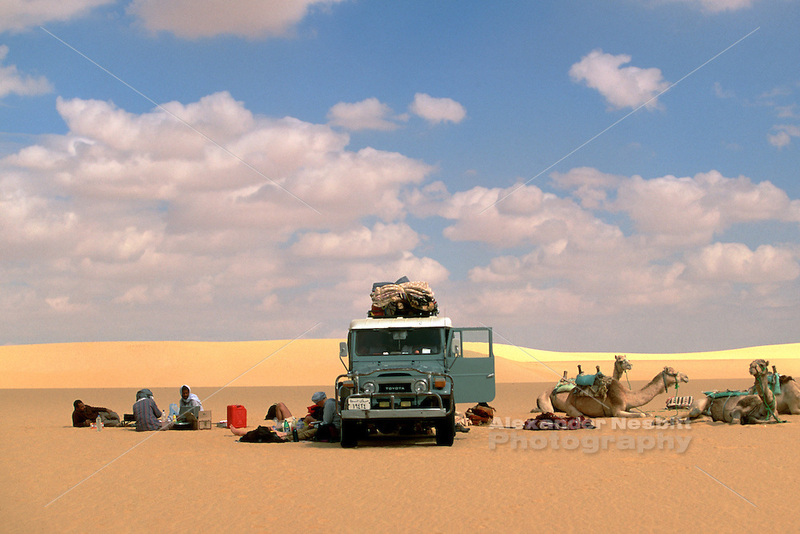 Desert trekkers rest whle their supplies are sprawled out. Egypt, 2000 - Egyptian western desert. Lunch time rendezvous with the supply vehicle, an old FJ40 Landcruiser, midway through a Camel trek across the sand sea desert between Farafra and Dakhla Oasis.